Visure Requirements provides a single source of truth for all the artifacts in the lifecycle, enabling end-to-end traceability. From Requirements Management, Test Management and Issue Tracking to Risk Management. All in one platform, at the cost of one. 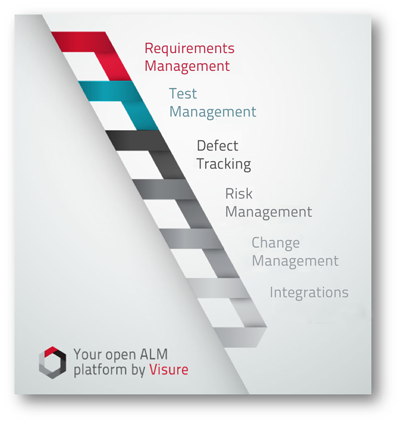 Visure Requirements provides unique features for Requirements Management, Test Management, Defect and Issue Tracking, Change Management and Risk Management, all in one, single platform. Providing configuration management, version tracking and baselining for all the artifacts, Visure Requirements becomes one of the most comprehensive solutions in the market. Having all artifacts represented in one platform enables end-to-end traceability, from requirements all the way down to source code through tests, defects, change requests and tasks. 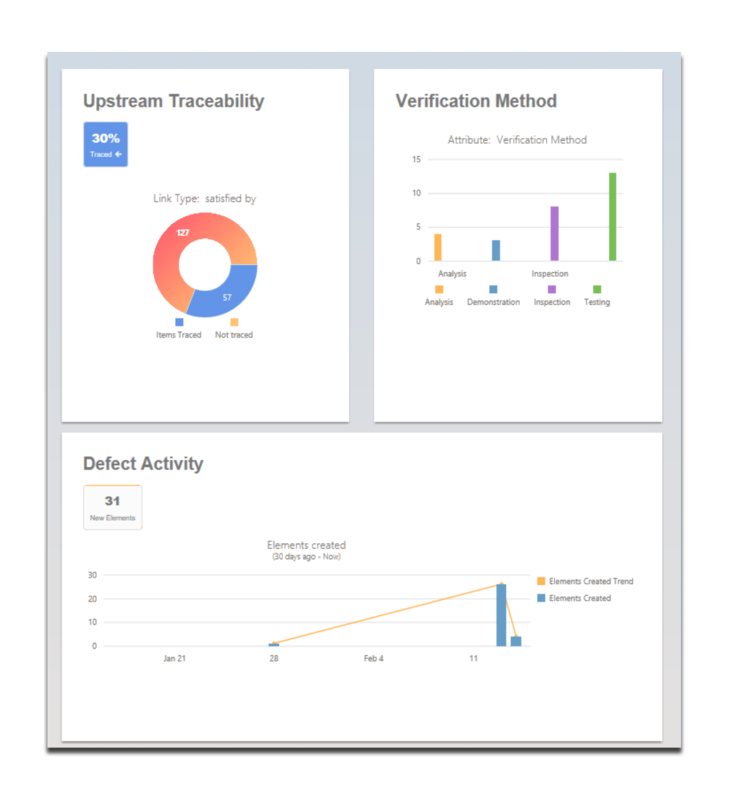 Traceability in Visure Requirements is guaranteed to be consistent and users can check the full coverage of the artifacts each step of the way. 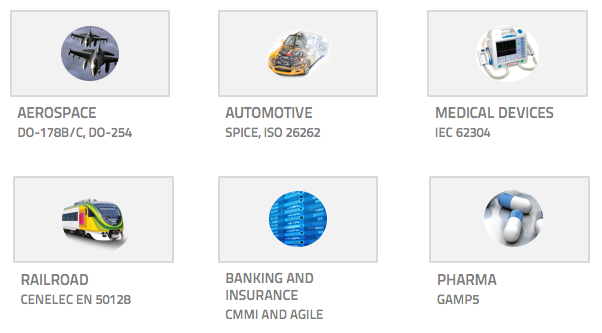 Change Impact Analysis, Coverage Analysis and Traceability Matrix are one-click away. 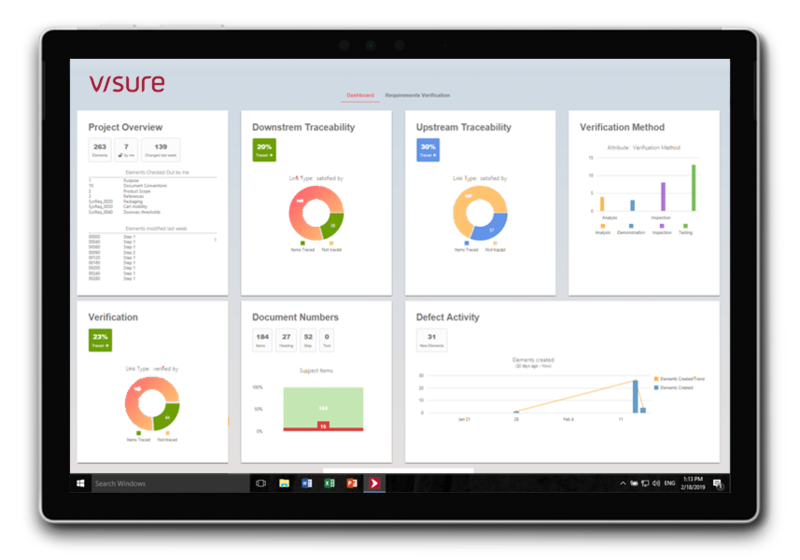 Visure Requirements provides comprehensive features to display the right information at the right time in the right format, whether that's a dashboard to display coverage analysis, a specification deliverable in Word or PDF for your customer, or a traceability matrix in Excel to provide the authorities. 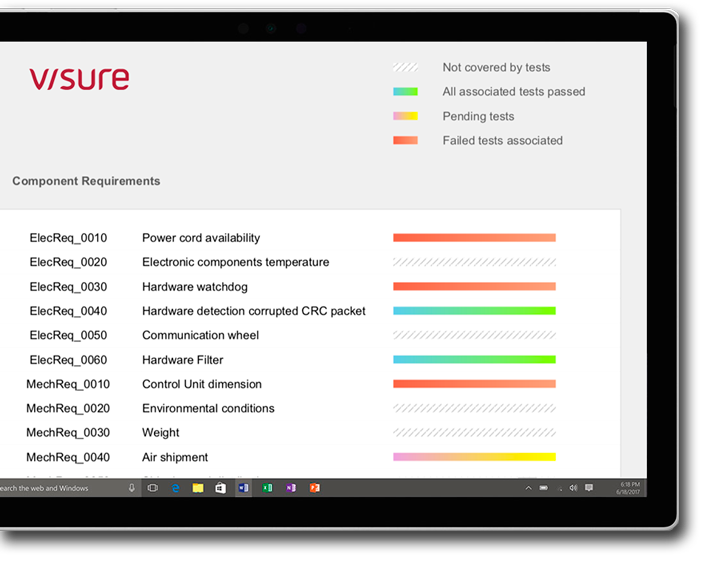 Visure Requirements links specific tests with the requirements they validate. It then manages the relationships, identifying which requirements have and have not been tested and pinpointing those tests that need to be re-run due to changes in the requirements. This automates the manual process, saving time, increasing software quality, and providing the transparency required to obtain certification. 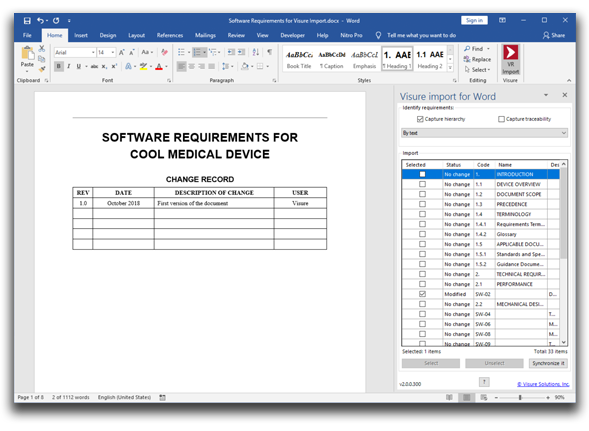 We know how important it is to be able to deal with MS Word and MS Excel documents provided by customers, or even internal teams that are not yet fully on board with the Requirements tool of choice. That's why we provide a round-trip between Visure Requirements and MS Office so that users can synchronize their MS Office documents with Visure Requirements, flagging each time all the elements that have been modified in the document, and synchronizing these changes back into Visure Requirements. 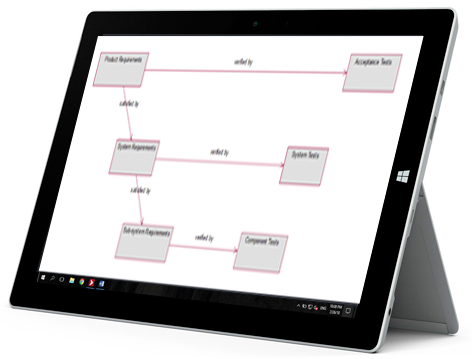 Visure Requirements provides reusability support, to enable simple sharing of standards across projects, or complex product line and variant management. 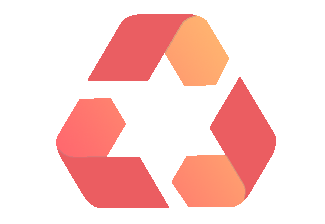 Either case, Visure Requirements allows the definition of a catalog of reusable components which may be reused to create or update variants. This is a critical capability that accelerates time to market and cuts development costs. 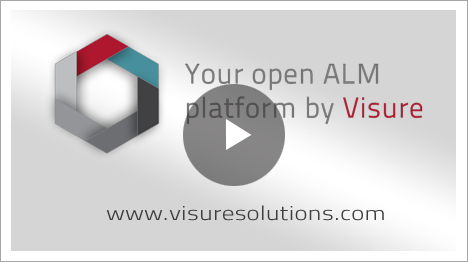 Visure Requirements provides live integrations that enable the synchronization of items bidirectionally with tools such as JIRA, Enterprise Architect, HP ALM, and many other. 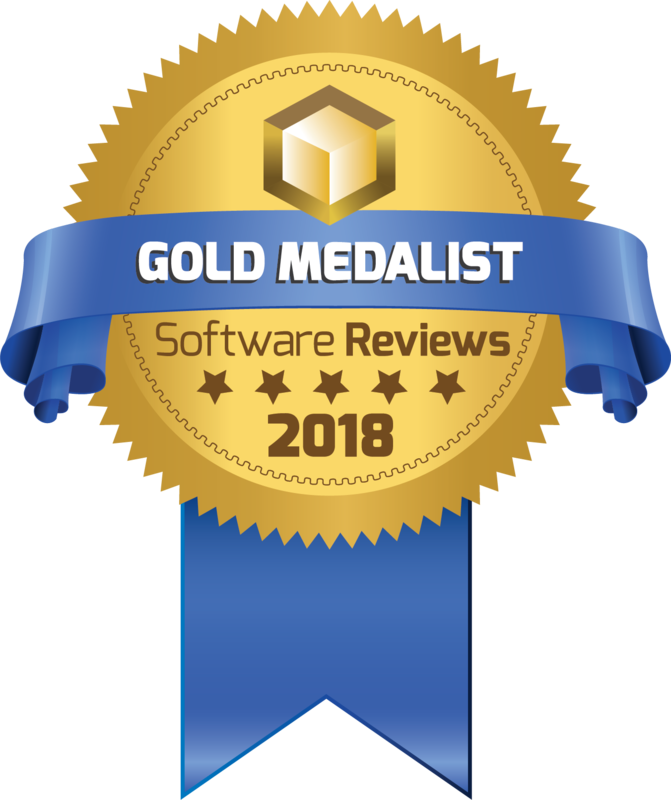 Software Reviews, a division of world-class research and advisory firm Info-Tech Research Group Inc., published its Application Lifecycle Management Data Quadrant Awards naming Visure Solutions Gold Medalist in the space.